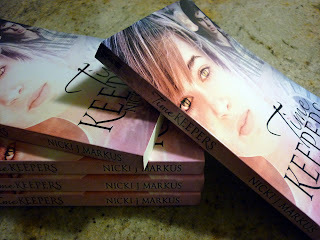 Look what came in the post today: my author copies of Time Keepers are finally here! So exciting to hold my first print book and see my name on the cover! congrats. That cover looks fantastic. So does Day-Walker. Come visit me as well.